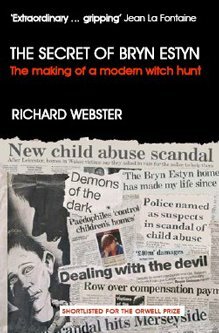 Posts tagged with " Wales "
Today, 17th March 2016, sees the publishing of the long awaited Macur review report looking into the Waterhouse Inquiry into child sexual abuse in care homes in North Wales. A big thankyou to all those who supported the recent Welsh Assembly initiative including in particular Dr Eady, SWAWC and FASO. Read Mark Newby’s excellent keynote speech ‘The dangers of false allegations’ given at the Richard Webster Memorial Lecture. Note: This is a particularly apposite given subsequent claims that the inquiry into alleged abuse in North Wales conducted by Sir Ronald Waterhouse (as he then was) was not adequate.